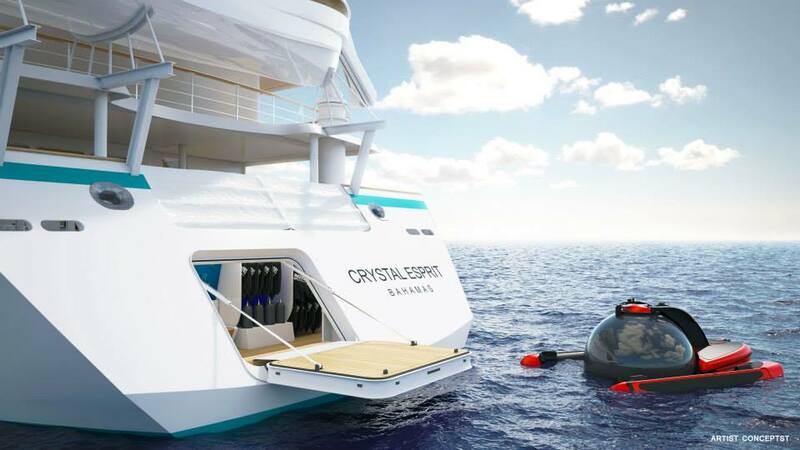 Recent announcement by luxury cruise brand, Crystal Cruises, revealed that new parent company, Genting Hong Kong (GHK), intends to form a sub-brand Crystal Yacht Cruises to attack the small ship and adventure market. To achieve this, the company will reallocate the 82m (270ft) Megastar Taurus, (IMO 8705266) renaming it Crystal Esprit. Built by the now defunct Flender Werft shipyard in Lübeck, Germany, in 1989 it has been known by former names Lady Sarah and Aurora II. Genting also owns the sister ship, The Taipan, (IMO 8705278 formerly MegaStar Aires). Both were acquired in 1994 from distressed European owners and have been somewhat underutilised, sailing out of Singapore primarily on private charters. The aging vessel will require some considerable refitting to bring it up to Crystal standards. Once repurposed, vessel will carry just 62 passengers as well as four 10-passenger Zodiacs and a 12-passenger Wider 32-foot megayacht tender. Guests will have a two-seat submarine, water skis, wakeboards, kayaks, Jet Skis, fishing, scuba and snorkel equipment at their disposal. Crystal Esprit is scheduled to leave on her first “warm water itinerary” on December 23, 2015, bound for the Seychelles and followed by a post-cruise New Year’s Eve celebration at the Taj Hotel in Dubai. 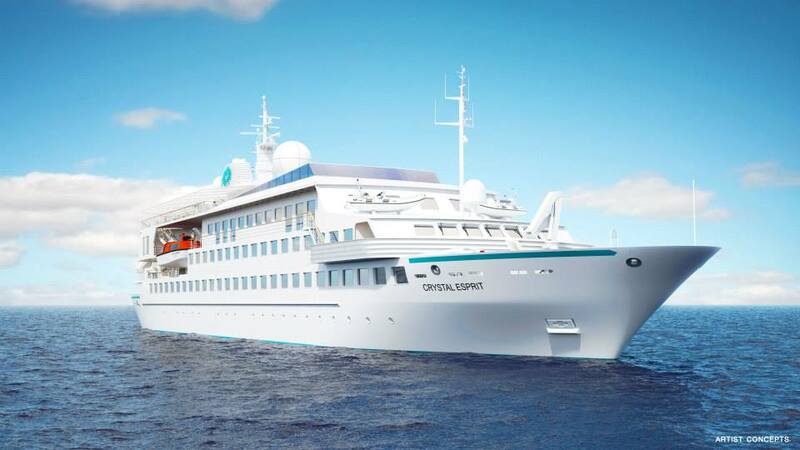 For 2016 and 2017, and early 2018, Crystal Esprit will sail the Seychelles, the Arabian Gulf and the Adriatic Coast. Beyond this, GHK said it had also signed a letter of intent with Lloyd Werft in Germany to build three 1000-passenger “Crystal Exclusive Class” ocean cruise ships with the first of these polar ice class vessels expected for delivery in late 2018. Crystal Yacht Cruises is the first of several expansive changes now being planned at Crystal since the line was purchased from Nippon Yusen Kabushiki Kaisha (NYK Line) by GHK for a reported US$550million in May. In addition to the new expedition ship, Crystal intends to adopt a more aggressive growth strategy.